Most primary school students are full of wonder and curiosity about the world around them. Our job as educators is to embrace this and encourage further purposeful enquiry. Sometimes, however, we can be ill prepared for the complexity of the questions that are thrown our way, particularly when it comes to science. Just imagine if you had a scientist that you could call upon to answer some of these curly questions, and just how much would students gain from asking this expert? I used to think that, as a teacher of science, part of my job was simply to connect my students with scientists. But this is oversimplifying what is actually a complex interrelationship. Educators and scientists often do not speak the same language. If you were to invite a scientist into your classroom to answer your students’ questions would the responses they give be useful? Probably not, unless you had spent time preparing both the scientist and your class to ensure you could converse in a common language. There is an increased drive for schools to connect with their science community. This requires active partnerships where both scientists and educators contribute and recognise each other’s expertise. Even with the ability to connect online it can be difficult to establish connections with the science community, especially if you are trying to contact individuals who are already busy with their normal workload. An easier way to create these connections in a meaningful way is to use an ‘interpreter’ — a person whose job it is to broker a relationship between experts and schools. 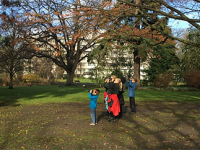 I became a virtual field trip teacher with LEARNZ back in 2009, and since then I have facilitated many connections between teachers, their students, and experts out in the field. Much time is spent talking with experts both before and during the field trip to gain an understanding of their work. I can then explain the intricacies of the New Zealand curriculum, the prior learning of students, and how they as scientists can best share their knowledge to engage these students. In this way LEARNZ can take the hassle and hard work out of connecting your class with scientists within the meaningful and relevant context of a virtual field trip. Students can see what life is like in places like Antarctica during LEARNZ virtual field trips and talk with scientists working in the field. Developing these connections between schools and scientists is also of benefit to scientists who want to foster an interest in science, encourage the next generation of scientists, and share their research. Increasingly, this partnership is also required to meet the obligations from those who allocate research grants. I used to be a little sceptical of the ‘virtual world’ that the Internet can offer. But, after delivering numerous virtual field trips and participating in webinars and the likes for professional development, I can see that rather than trying to replace reality, virtual applications offer something that would otherwise be inaccessible. Virtual field trips, for example, are not designed to replace actual class field trips, but to engage your students in a novel, yet relevant learning experience. Recently, I was lucky enough to travel to Antarctica to deliver one such field trip. I have always dreamed of going to Antarctica, and even though this was my second visit to this white wilderness, I was still really excited, as I knew I would be able to share my journey with thousands of students from around New Zealand. Although Antarctica is a remote and inhospitable place, it still captures the imaginations of many people, and as we all contemplate a future affected by climate change, Antarctica remains highly relevant to us all. 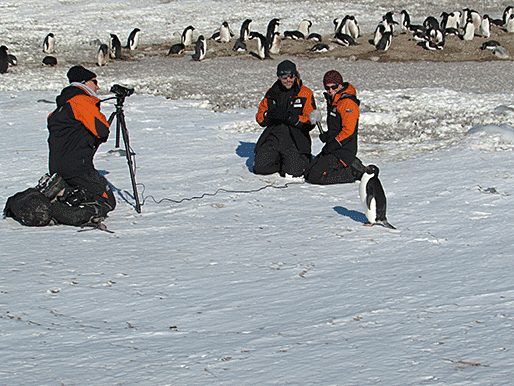 During the LEARNZ Antarctica field trip students met a few local residents as well as scientists. 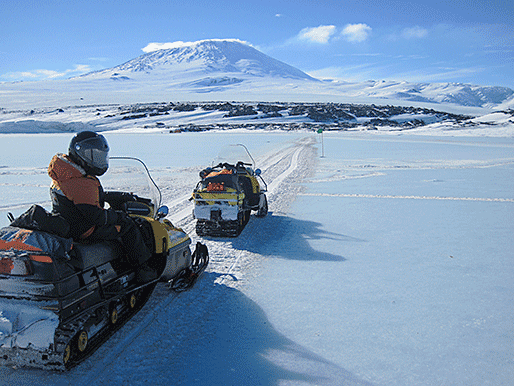 Antarctica is the perfect place for scientists, as it is largely unmodified by people and, therefore, offers scientists the ideal place to investigate natural processes. Throughout the two weeks that I spent in Antarctica I was able to follow the work of a group of scientists from the University of Otago and the American SCRIPPS institute working on Antarctic marine food webs. I facilitated conversations between the scientists and students back in New Zealand. Students took part in audio conferences and a chat room using Adobe Connect. The daily action was shared through videos, photos, and diaries. 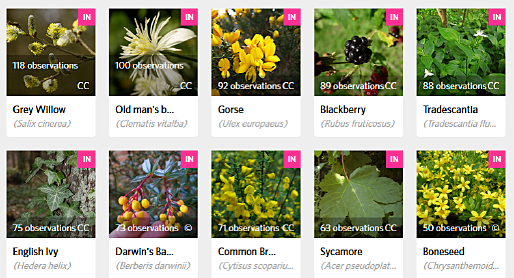 Background pages and activities on the LEARNZ website allowed enough domain knowledge to be gained prior to the field trip to allow students to ask meaningful questions yet also spark further inquiry. Two hundred and thirty five classes were enrolled in the trip, and from the evaluations that we have received it seems that students not only learnt a lot, they also really enjoyed the field trip. Students appreciated being able to talk with scientists who understood how to best answer their often challenging questions and were totally engaged by the authentic context of Antarctica. Why Cape Bird from LEARNZ on Vimeo. The Chief Science Advisor’s 2011 report on Science Education for the twenty-first century raised questions about how to ‘engage and enthuse’ more young New Zealanders in science, and whether the science we teach is addressing the ‘serious questions we will face in the future’. If we are able to connect schools and scientists we can ensure that up-to-date scientific knowledge is provided, students’ horizons are expanded, and students can be inspired by role models within the science community. Real-life authentic science can be shared, which allows students to apply their scientific knowledge and knowledge from other domains to address real-world challenges. LEARNZ and other initiatives can help create these connections and ultimately help foster and focus the intrinsic curiosity and capabilities of our students. Shelley Hersey Shelley has 10 years teaching experience. During her time as a classroom teacher she taught students in years 7-8 and was in charge of science and outdoor education. Shelley has lead many successful primary and secondary LEARNZ field trips and develops interactive online activities.